new the angry birds movie theme. 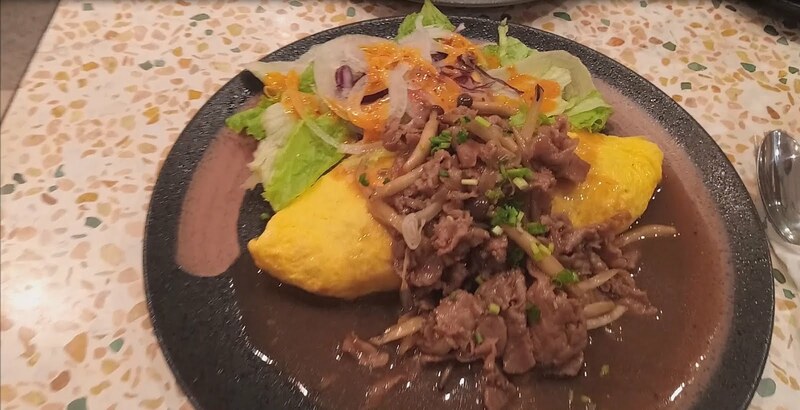 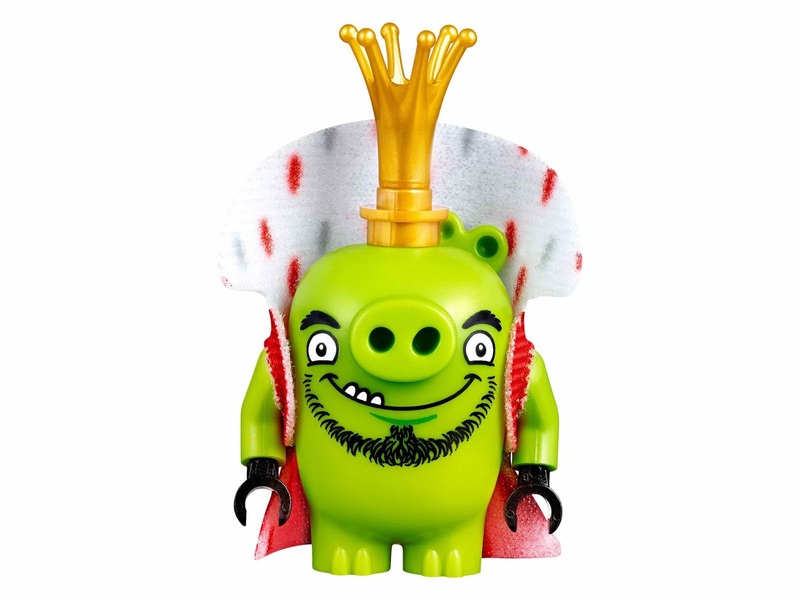 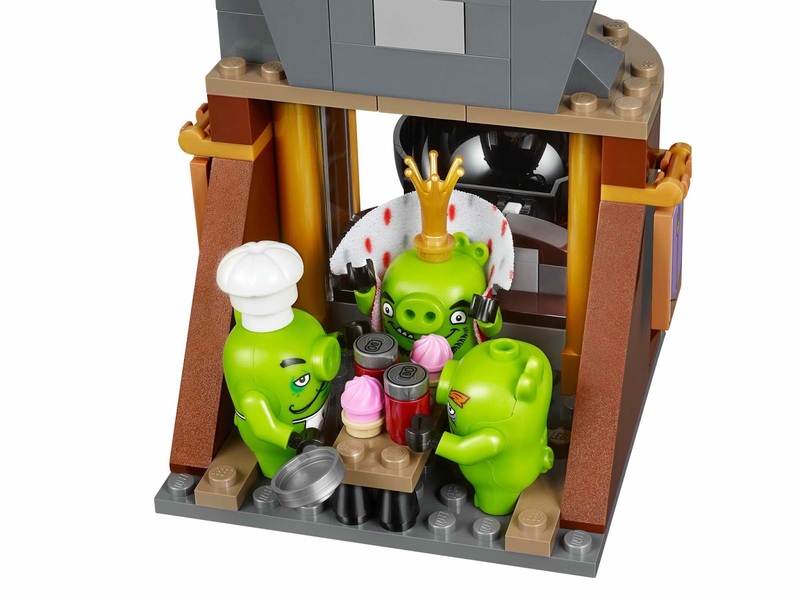 come with a king pig's castle. 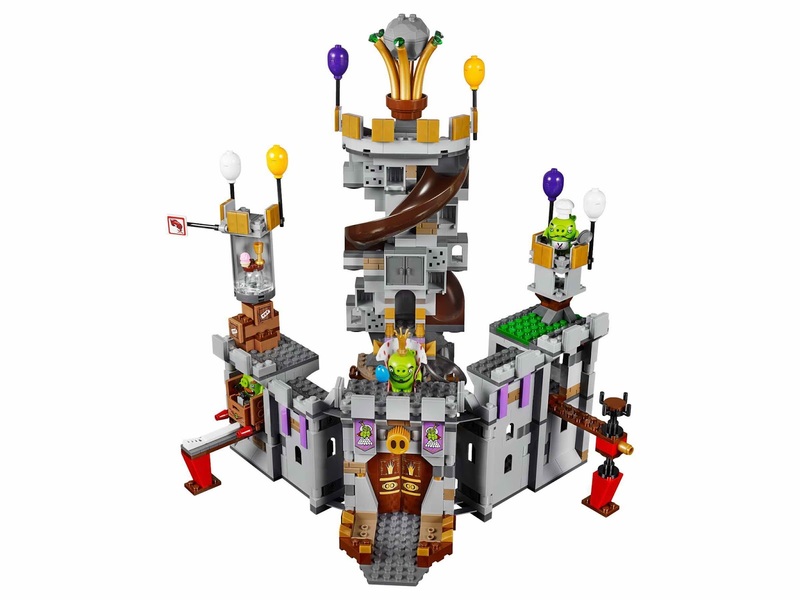 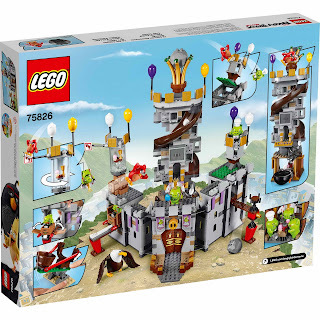 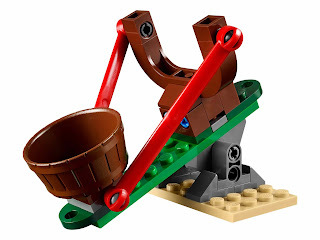 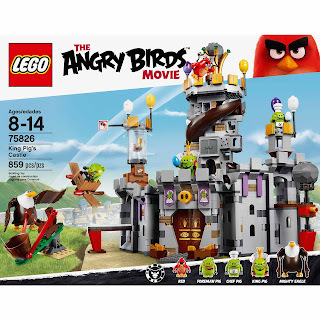 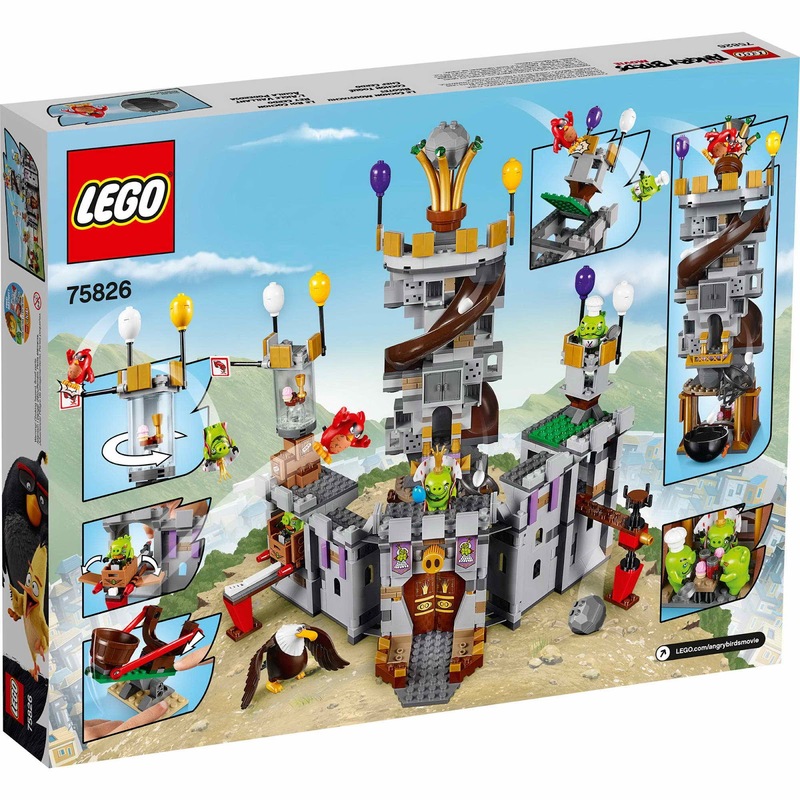 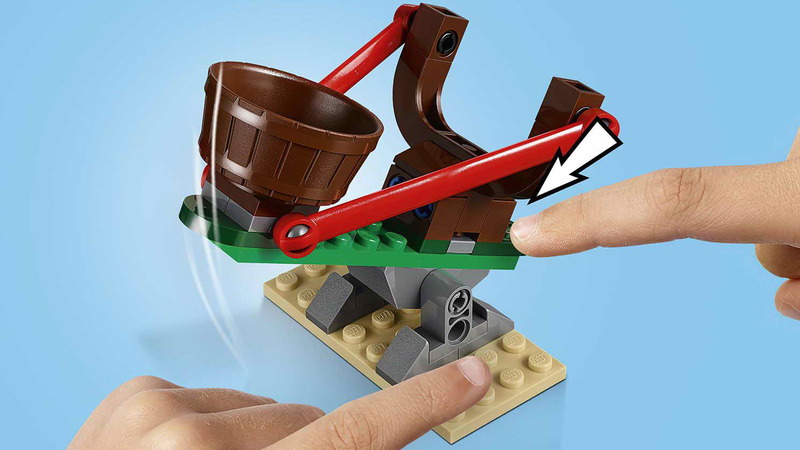 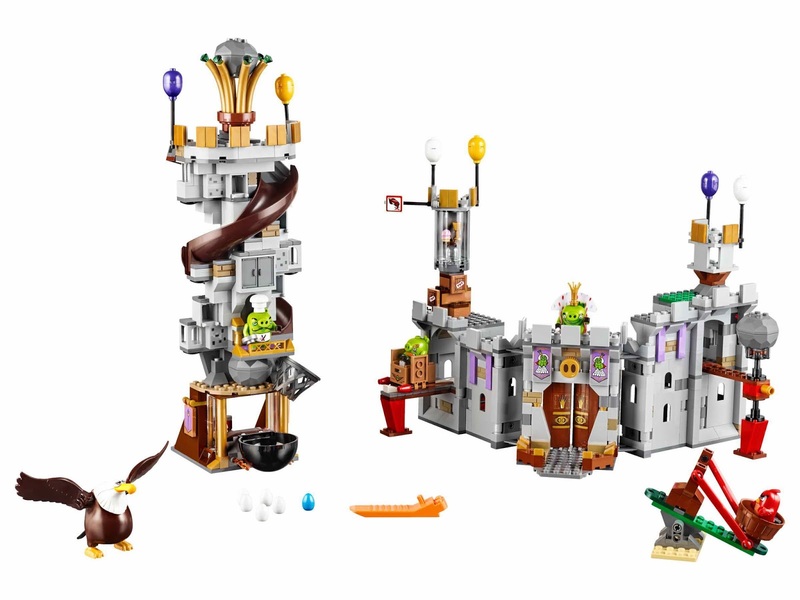 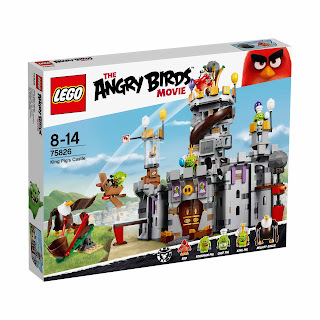 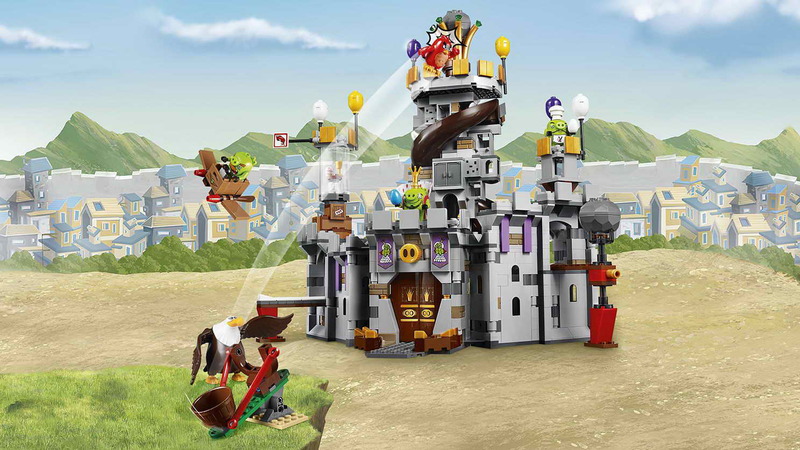 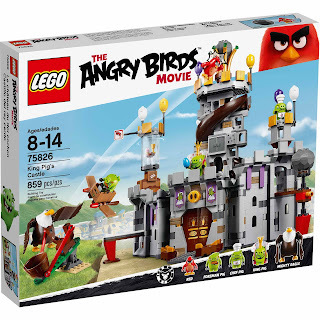 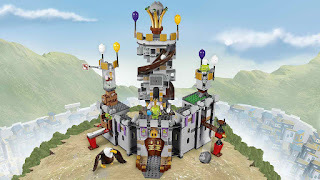 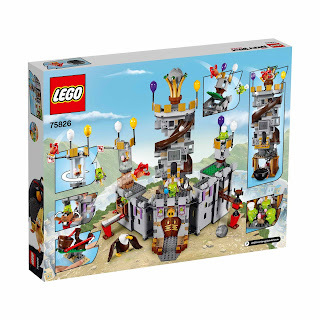 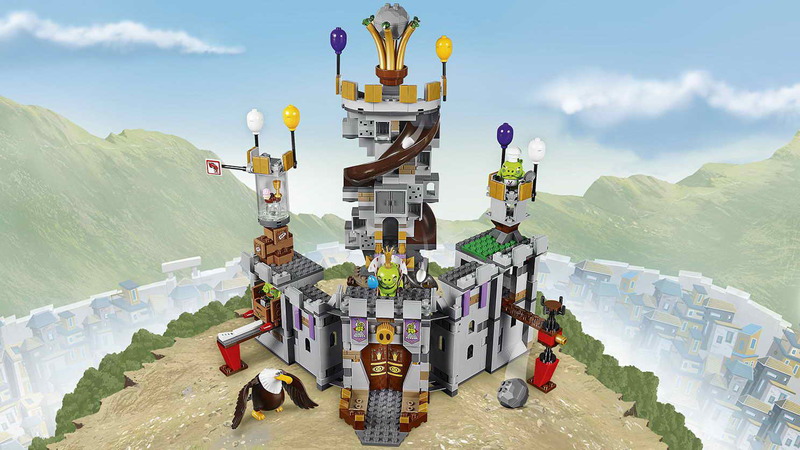 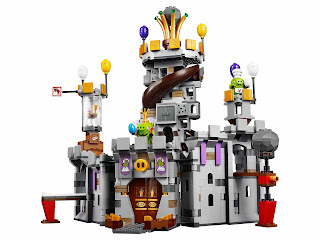 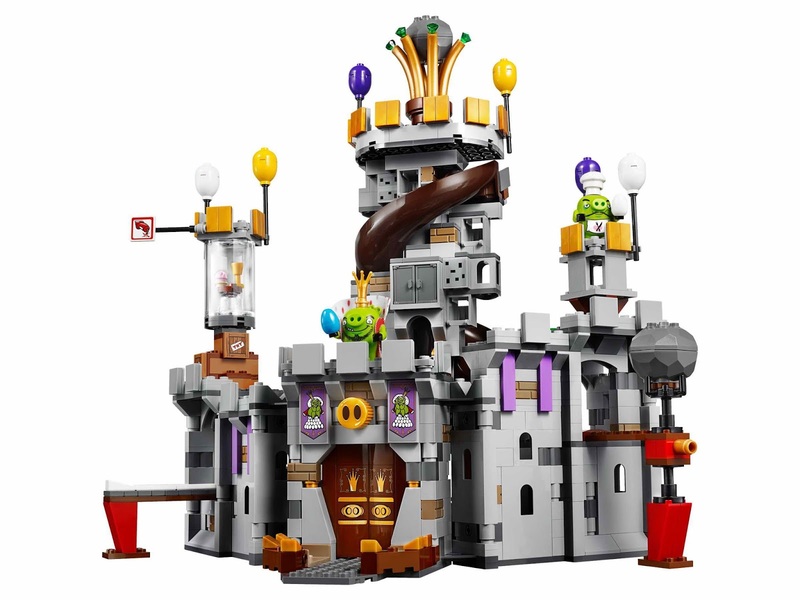 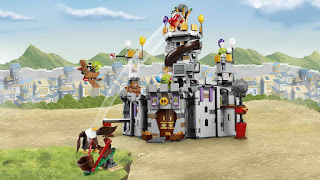 the castle has an openable gate, a spiral egg chute, a spinnable tower, a collapsible mini tower and a winged tnt box launch hangar. 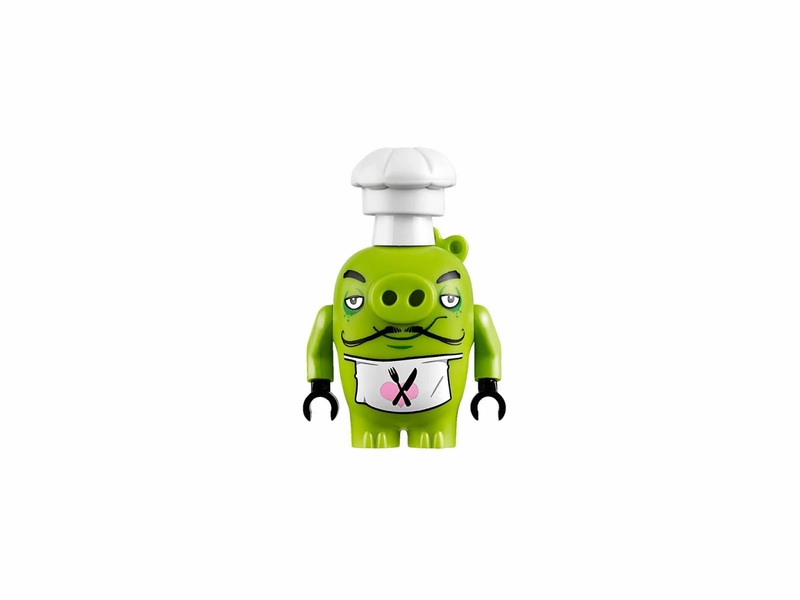 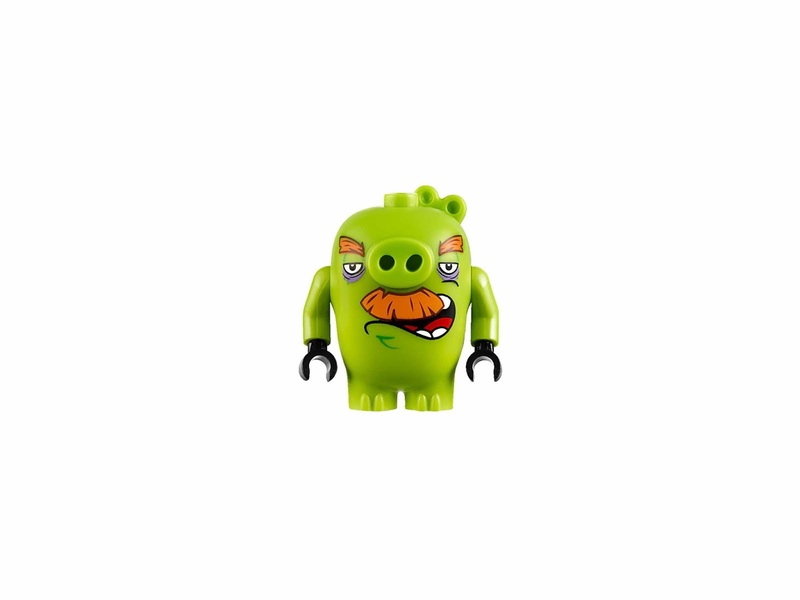 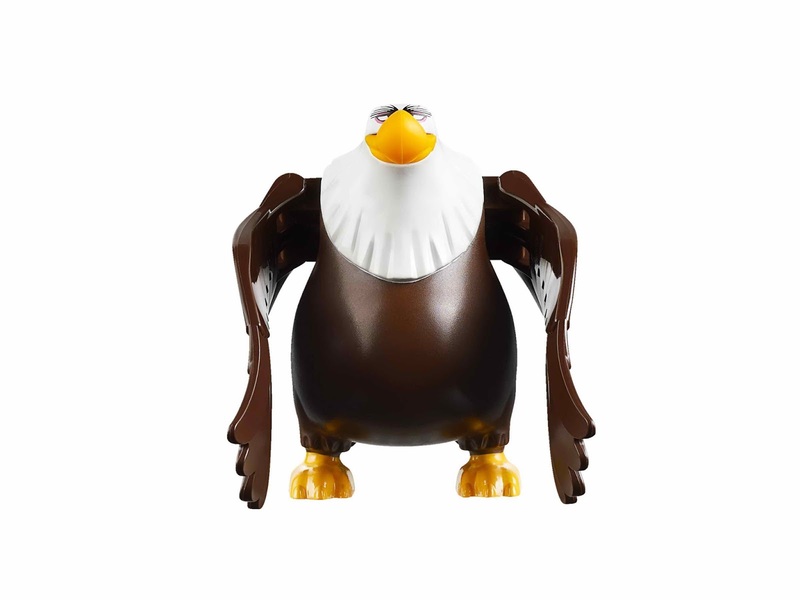 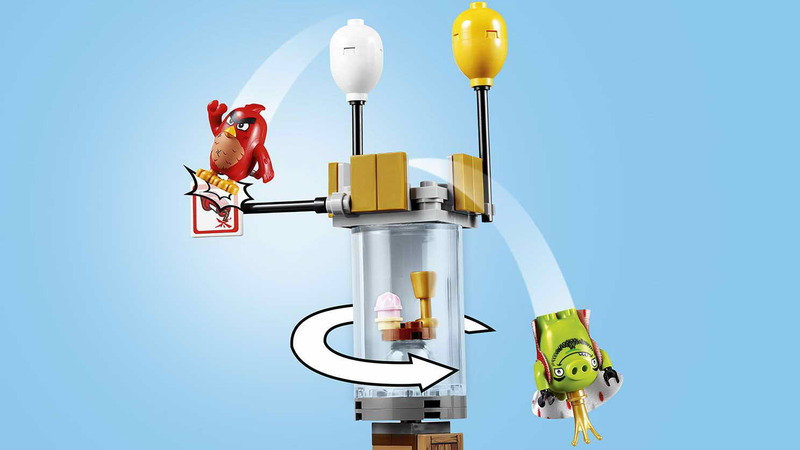 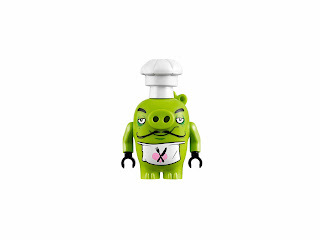 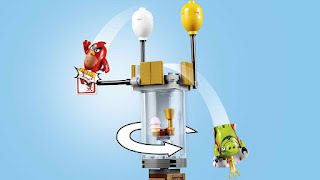 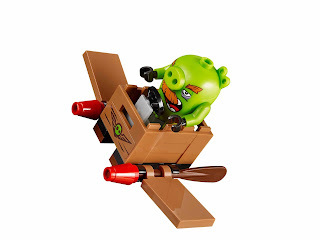 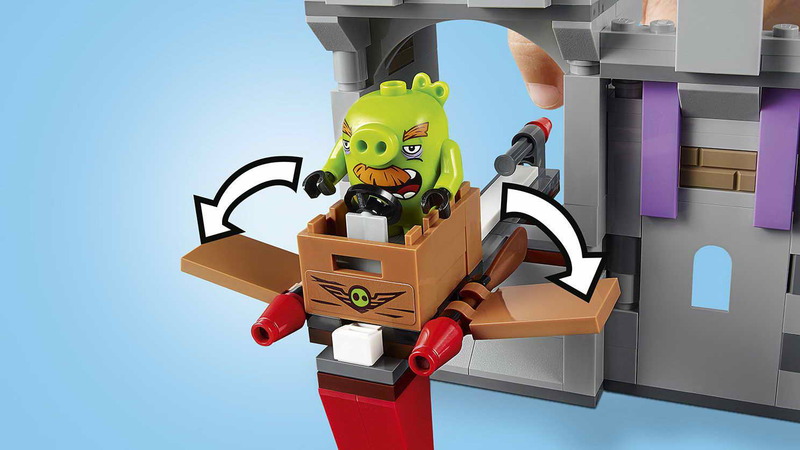 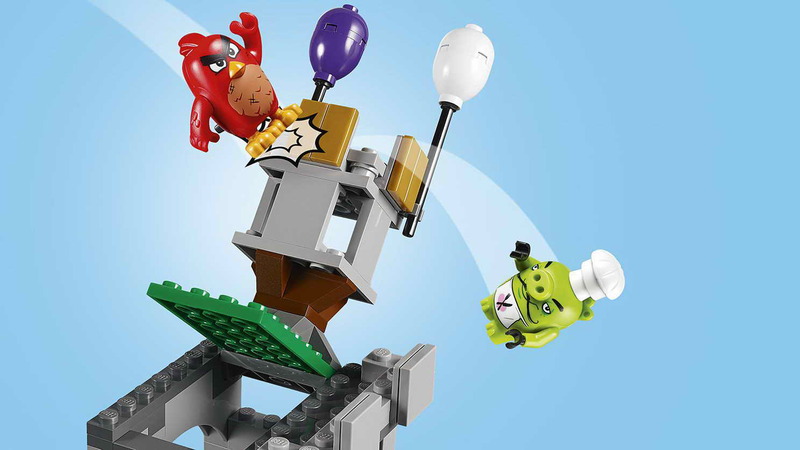 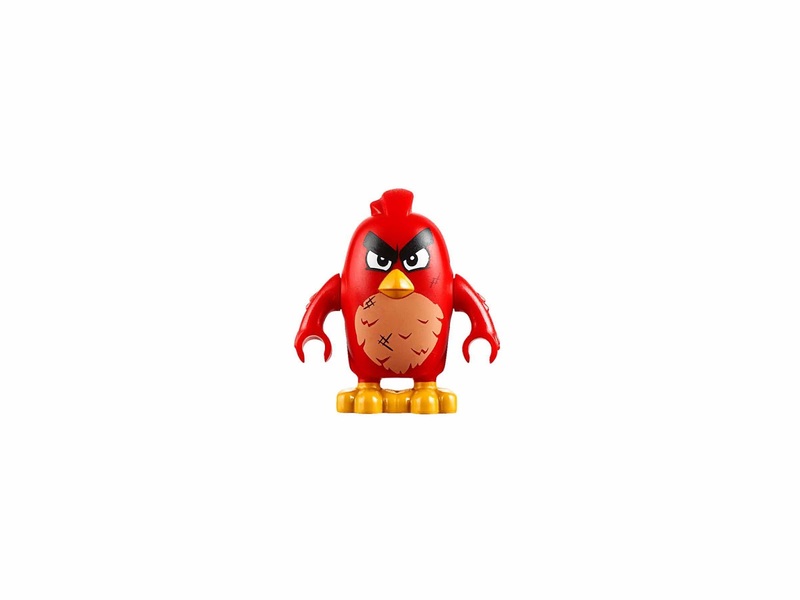 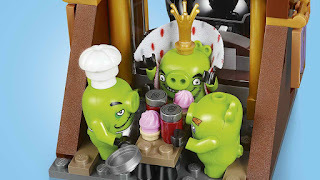 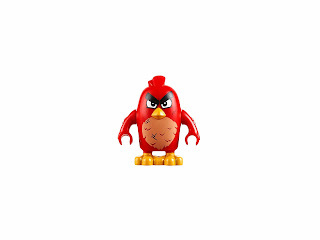 minifigs included a red minifig, a mighty eagle minifig, a king pig minifig, a chef pig minifig and a foreman pig minifig.